The UC Berkeley School of Information is excited to partner with Stanford University to bring the Women in Data Science (WiDS) conference to Berkeley, California. In this talk, I explore novel neural network approaches that open up opportunities for getting a deep understanding of natural language text. Nami Yamamoto is an urban migrant from Osaka, Japan, who decided to go into the rural area and live there as new dweller with her partner and two young children. She will share the living experiences full of joy and difficulties in search of an alternative lifestyle in a rural village in Japan. The AHMA Colloquium is a series of informal papers presented in the afternoon in 7205 Dwinelle Hall. It is hosted and organized by graduate students from the Ancient History and Mediterranean Archaeology Graduate Group. Let \((M,g)\) be a compact Riemannian manifold without boundary. We are interested in asymptotic properties of Laplace eigenfunctions on \(M\) as the eigenvalue \(\lambda \) tends to infinity. The advances of the last few years will be discussed and a survey of interesting open questions will be given. This is the second lecture of the Spring 2018 Slavic Graduate Colloquium lecture series. 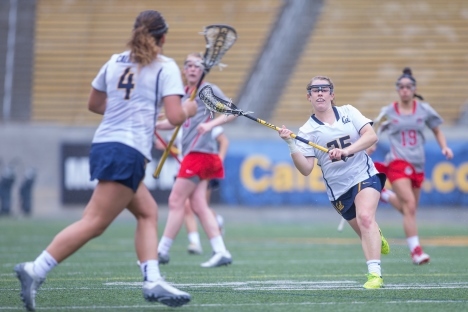 Cal Lacrosse hosts Robert Morris at Memorial Stadium.